Unfortunately, in Minecraft not all mobs are nice. Some are very aggressive. 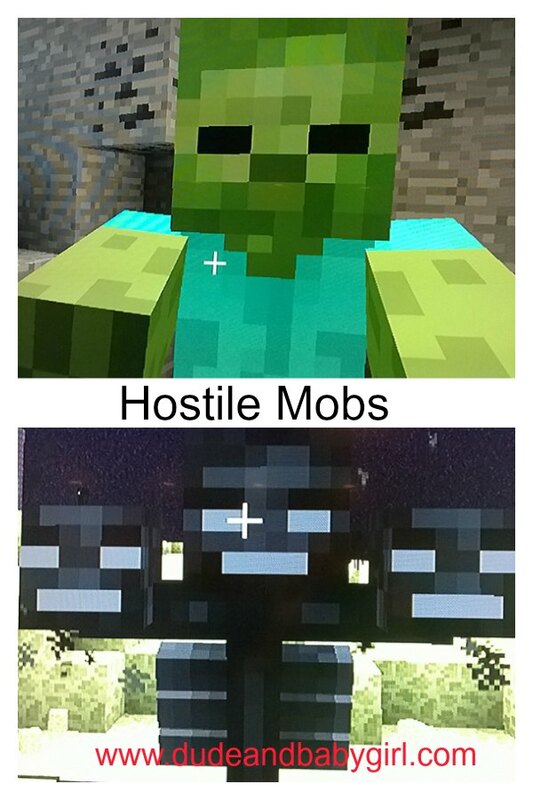 These are called hostile mobs. 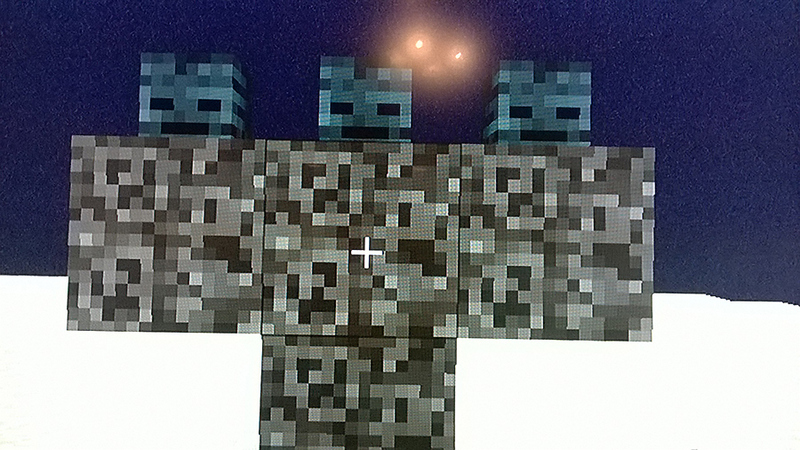 Creepers only spawn at night, like almost all of the other mobs in this post. they are the most well known mob in Minecraft. 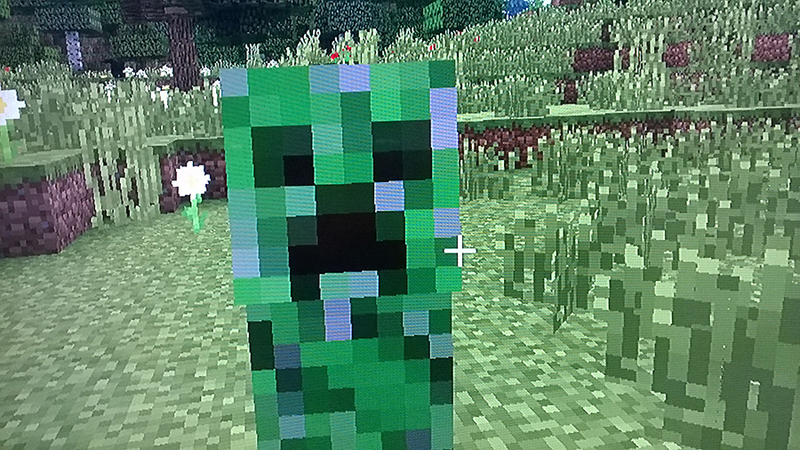 When they see you they will run straight toward you and when they are three blocks away from you, you have one and a half seconds to try and escape before the creeper explodes in your face. The best way to defeat them is to use a bow and arrows to attack from a distance. Useful drops: rotten flesh, iron shovel (rarely), iron sword (rarely), carrot (rarely), potato (rarely), armor if equipped. Husks are the desert version of the zombie. Unlike regular zombies, husks don't burn in sunlight. Like zombies they will attack villages in large numbers. To kill them pelt them with healing potions. Useful drops: rotten flesh, carrot (rarely), potato (rarely), and anything they are holding. Drowned are zombies that live in the oceans, lakes, and rivers. They are most often found in sunken ships, but live anywhere in the water. 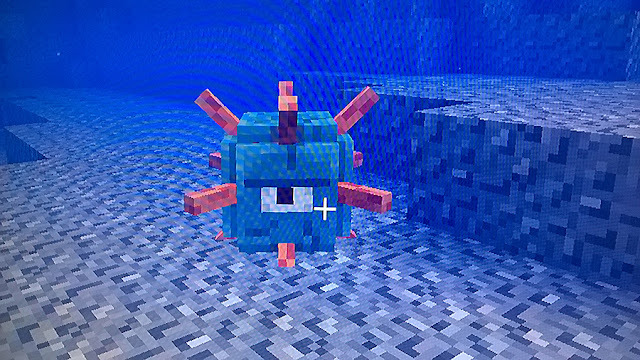 a lot of the time drowned carry either nothing or a trident, but they can also be found with nautilus shells, sea kelp, and gold ingots. They can easily be defeated with a sword or sunlight. Useful drops: rotten flesh, sea kelp, nautilus shells, tridents, gold ingots, and any thing else they are holding. 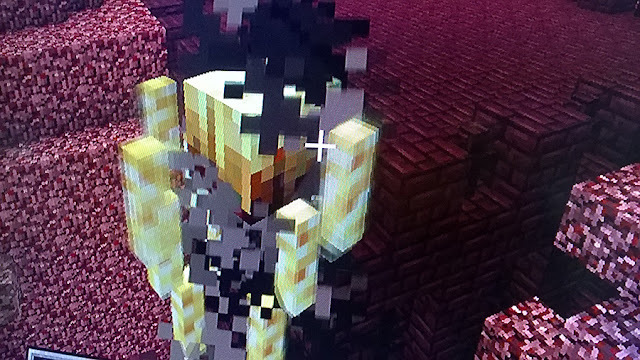 Skeletons also burn in sunlight and can attack from a distance because they have bows. To defeat them use their own weapon against them and use a bow to attack from a distance. Useful drops: bones, arrows, bows, armor if equipped. 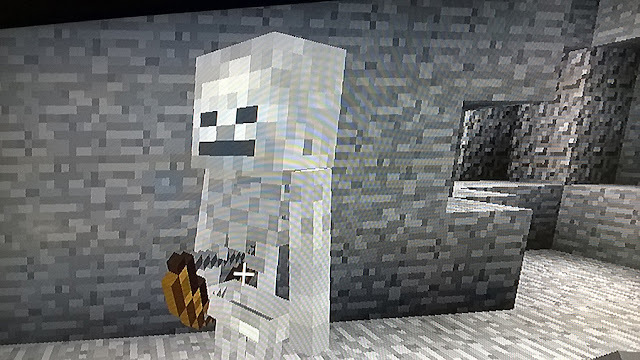 Strays are a type of skeleton that spawns in ice plains. They are more dangerous then regular skeletons because they shoot arrows of slowness. They burn in the sun. To kill them use a bow with arrows tipped with healing. Useful drops: bones, bows, tipped arrows. Spiders in Minecraft are the size of your player! Spiders are hostile at night and neutral (they won't attack you unless you attack them) at day. They are very quick and can climb up walls. 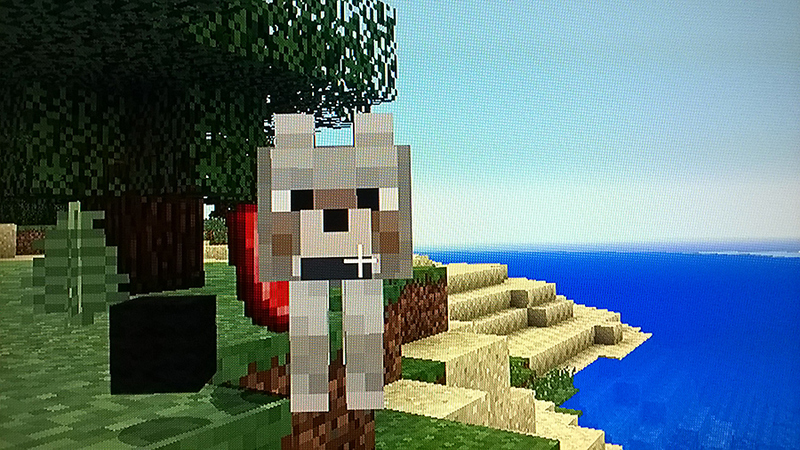 The best way to defeat them is to get to higher ground and attack with an enchanted diamond sword. Useful drops: string, spider eyes. 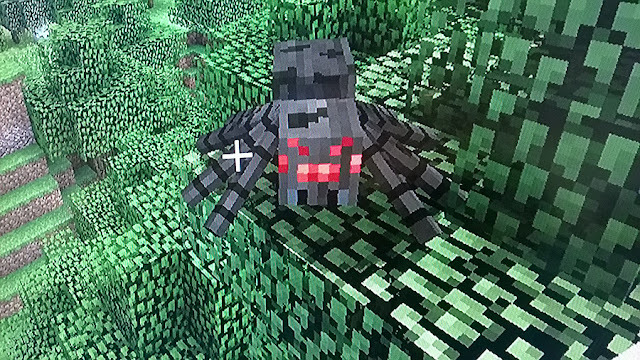 Cave spiders are smaller versions of the regular spider. 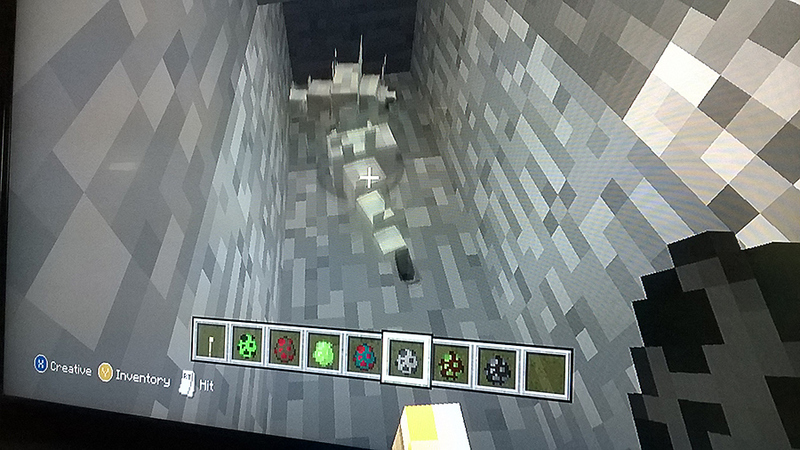 They only spawn in abandoned mine shafts and sometimes find their way to the surface. They are quick and can also climb walls. Note that cave spiders are poisonous. 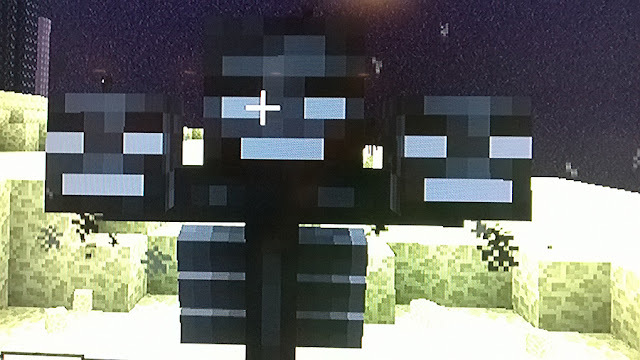 Endermen are three blocks tall and will only attack you when look at them above their legs. 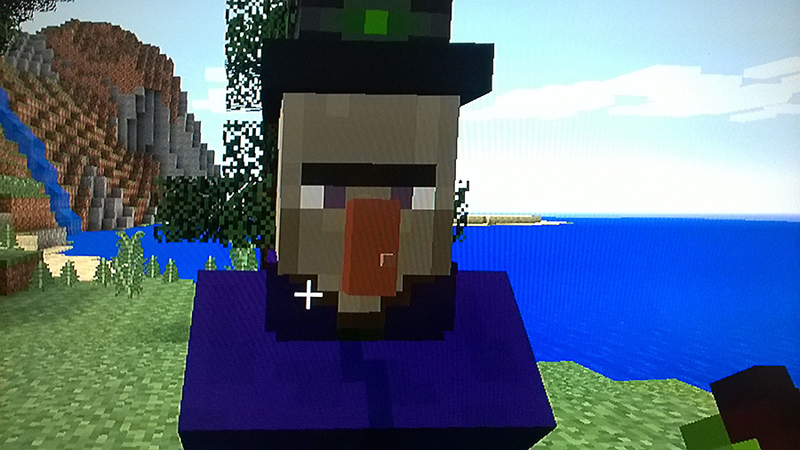 With their ability to pick up and place blocks, they can build houses and Snow or Iron Gollums. Since they can teleport they make tough enemies. The best way to defeat them is to avoid looking at the upper part of their body while attacking their feet. Vindicators spawn anywhere in woodland mansions. Once defeated they do not respawn. They run at you with an iron axe and hit you. To kill bring an iron golem with you to sidetrack it, then you kill it. Useful drops: iron axes, emeralds. Evokers only spawn in certain rooms in woodland mansions. You can never find two in the same room. Evokers have two attacks. They can summon vex's, or they can summon a row of teeth to rise out of the floor and bite at players. Shoot at them with arrows to kill them. Useful drops: totem or undying, emeralds. Vex's are nasty little flying creatures that carry stone swords. Evokers can summon one to three of them at a time. Vex's have the unusual ability to fly through solid walls. With this ability, vex's are hard to fight. If you have awesome aim on a bow, maybe you could hit them, but you are better off using a sword. Witches look a lot like villagers, but instead they have purple robes and wear a hat, have a wart on their noses, and their skin is grayer. When you are twenty blocks away it will throw a potion of slowness at you, which will slow you down by half of your average speed. As you get closer it will start to throw potion of weakness, which does a little damage. 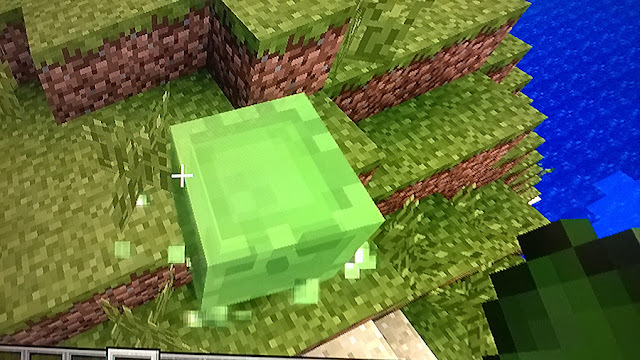 As you get closer, it will throw a potion of poison at you, which will bring you down to half a heart. When you are five blocks away it will throw potions of harming, which do a lot of damage. The best way to defeat a witch is to either shoot it from a distance with a bow or attack quickly with a enchanted diamond sword. Useful drops: sticks, gunpowder, spider eyes, glowstone dust, redstone, glass bottles, potion of healing(rarely), potion of fire resistance(rarely), potion of swiftness(rarely), potion of water breathing(rarely). Slimes spawn either deep underground or in swamps. They come in three sizes, small, medium, or large. If you kill a large one then it will split into three medium ones, then those will turn into three small ones. The best way to defeat them is to attack them with a sword while standing on a two block tall pillar. Silverfish live in fake blocks called silverfish stone. The best way to defeat them is to attack them with an enchanted diamond sword. 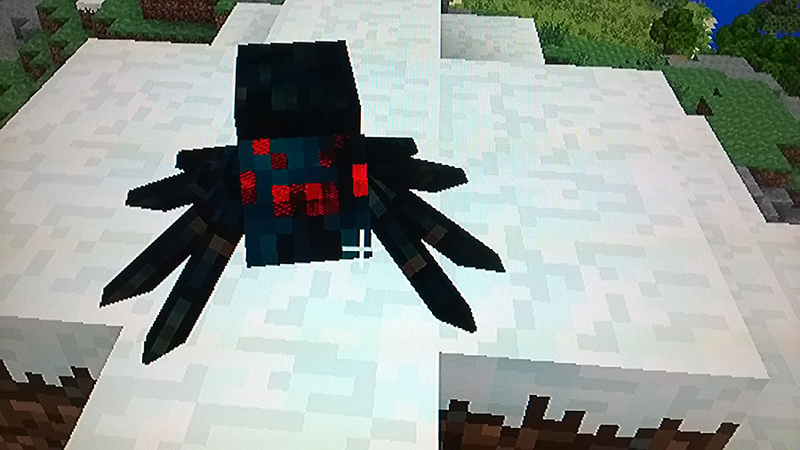 Endermites are rare mobs that only sometimes spawn when you use an ender pearl or when an endermen teleports. They are not very strong, so all it takes to defeat them is one strike from a diamond sword. Phantoms are large winged creatures that are commonly found in or above the clouds. They will burn in the sun, so they will sometimes dive into the water. They are fast so they are hard to hit with a bow, so you better off with a sword. Guardians spawn underwater, normally near ocean temples. They shoot laser beams at you to damage you. To defeat them pull them out of the water using a fishing rod and then hit them with a diamond sword a few times. Useful drops: prismarine shards, prismarine crystals, raw fish. Elder guardians are very large Guardians. They live in the three chambers inside ocean monuments. There is only three in each monument and they will not respawn after defeat. If you are hit by it's laser beam, you will get mining fatigue, which slows your mining speed. Since they won't attack you if they don't see you, you can hide behind something and then attack and hide again. Useful drops: raw fish, prismarine shards, prismarine crystals, and wet sponge. 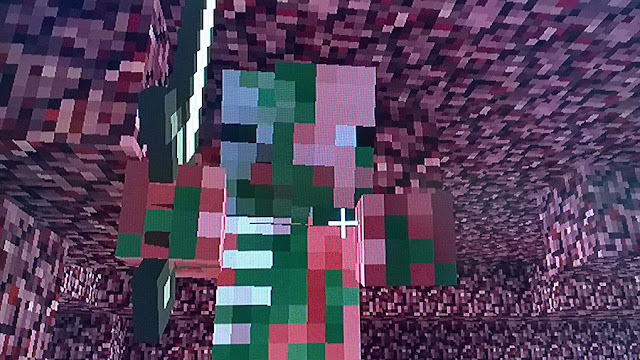 Zombie pigmen live in the nether, a world filled with fire and lava. They are a cross between a pig and a zombie and a skeleton. They spawn in large groups and carry gold swords. They are neutral and if you attack one the whole group will attack you. The best way to attack them is to stand on a two block tall pillar and attack with a sword. Note that they are immune to fire and lava and can spawn in the overworld if a pig is struck with lighting. Useful drops: rotten flesh, gold nuggets, gold swords(rarely), gold ingots(rarely). Wither skeletons also live in the nether, but only in nether fortresses (giant fortresses in the nether with winding hallways and lots of loot). 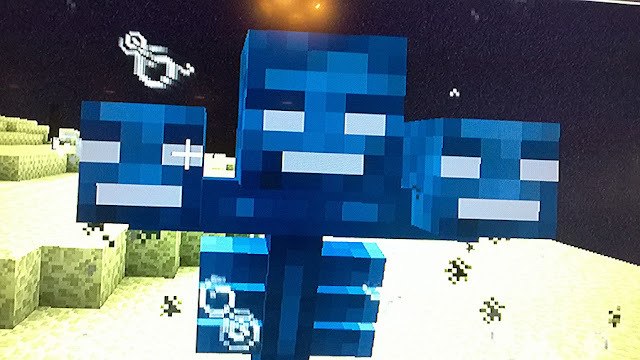 They look a lot like regular skeletons, but instead of bows wither skeletons carry stone swords and are darker and a little taller. 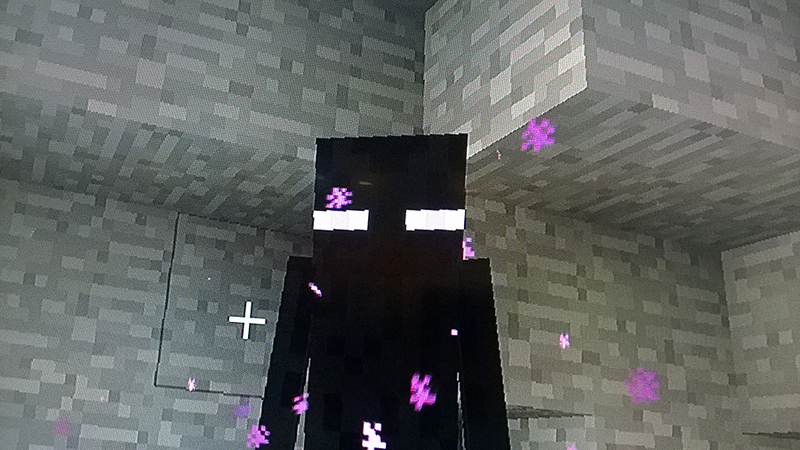 If they hit you with their swords it will give you the wither affect which is sort of like poison. To defeat it without getting the wither affect, stand in the back corner of a two block tall shelter and attack with an enchanted diamond sword. Useful drops: bones, coal, stone swords(rarely), wither skeleton skulls(rarely). 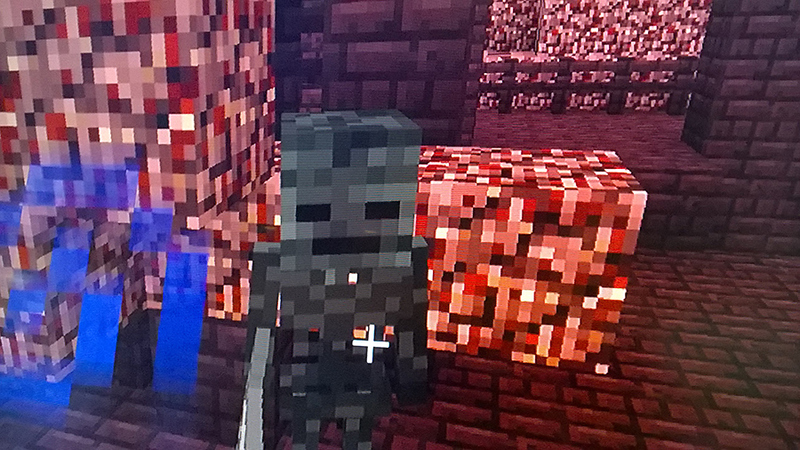 Blazes are another mob that live only in nether fortresses. They look pretty much look like a flaming head with rods spinning around it. Since they can shoot fireballs the best way to defeat them is to throw snowballs at them from behind a wall with a one block hole. Useful drops: glowstone dust, blaze rods. 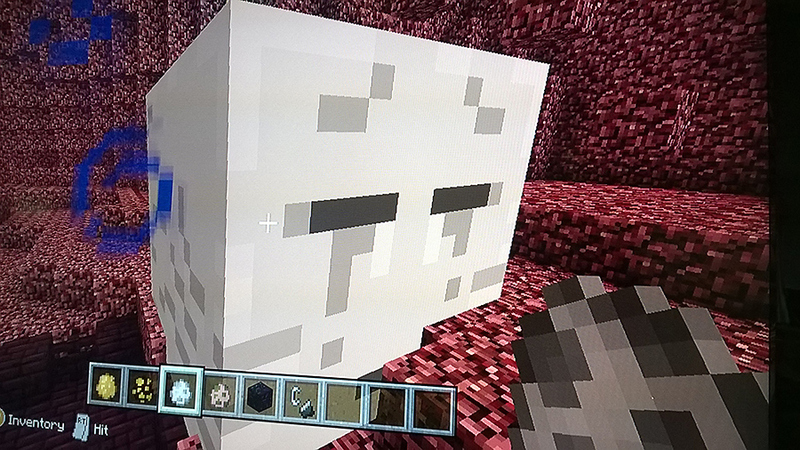 Ghasts are the largest mobs in the nether. They are one of the four hostile mobs in Minecraft that can fly. They can also shoot fireballs. They will normally attack while floating over a lava lake so if you kill it, its useful drops will fall into the lava. The best way to defeat a ghast without burning its useful drops is to reel it in with a fishing rod and attack with a sword. It will probably shoot a few fire balls, but you can hit them back with your sword. They are immune to fire and lava. Useful drops: ghast tears, gunpowder. 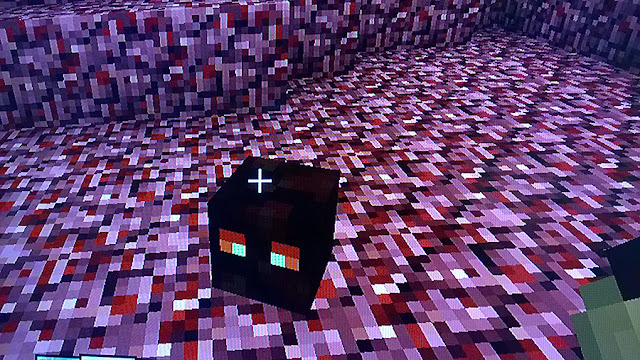 Magma cubes are a version of a slime in the nether. After you kill them they also split. Unlike the slime, magma cubes are immune to fire and lava. To defeat them use a diamond sword enchanted with knockback to push them off a cliff. Wolves spawn in evergreen forests, snowy places, and in forests. They live in packs and if you attack one, the whole group will attack you. They are neutral until you attack them, then they will attack you. It is best to just avoid attacking them. If you find them chasing you, then tunnel under them and cover up where the entrance is so they can't follow you into the tunnel. 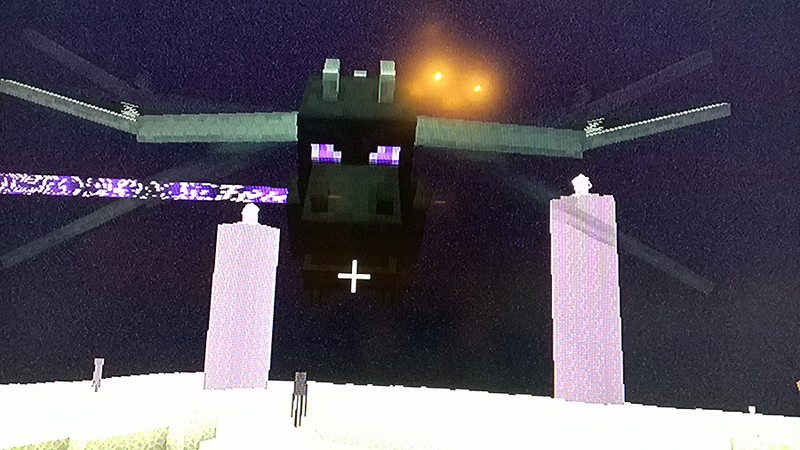 The Ender dragon is the second strongest mob in Minecraft. It takes a long time to fight and deals a lot of damage. It can shoot bombs and acid at you. The best way to defeat it is to first shoot the crystals on top of the obsidian pillars. Then as the dragon swoops down toward you, place a bed on the ground and act as if you are going to sleep in it and it will explode in the dragon's face. When it flies away to heal, you can shoot at it with a arrows. Repeat this process until you defeat the dragon. When the dragon has been defeated it will explode in a purple explosion. Shulkers are shelled creatures that can shoot lasers at you. They have to open their shells to shoot lasers at you, so take advantage of this and attack the surface under the shell. They may shoot a few lasers at you, so you will have to hit the lasers off course with your sword. 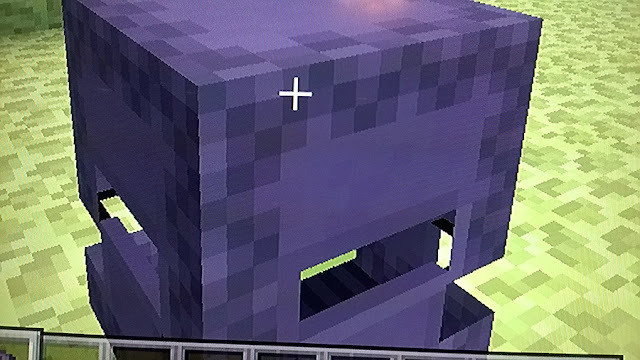 The wither is the strongest mob in Minecraft. To create a wither, make a soul sand structure in the shape of a upper case T then top it with wither skeleton heads. When the wither is healing it will flash blue and will be immune to any damage. 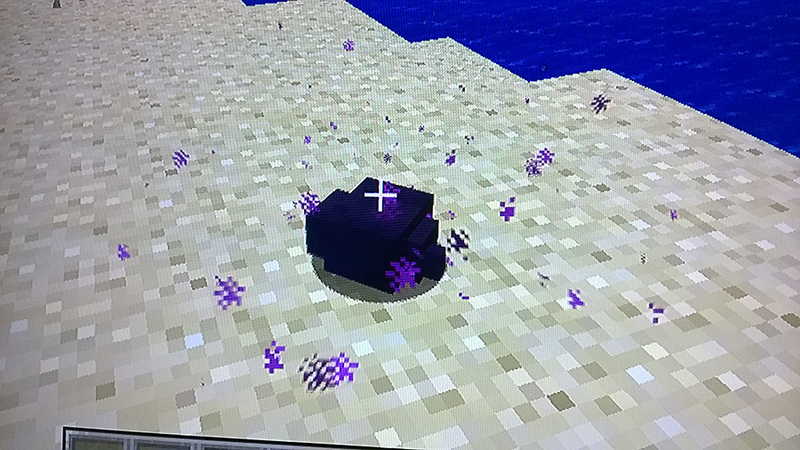 Before you make the wither, construct a base made out of obsidian. It should have one block hole on the sides to shoot arrows through. 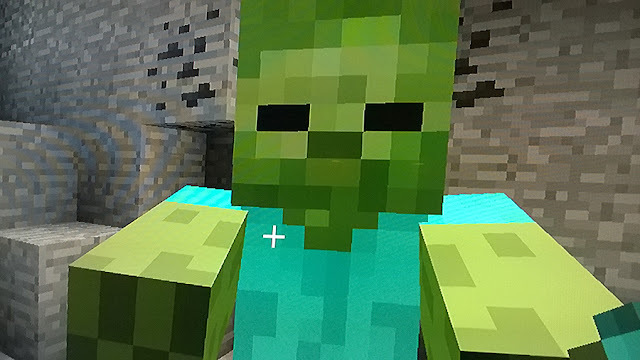 When you spawn the wither, shoot arrows enchanted with sharpness at it from inside your base. You just read about all of the hostile mobs in Minecraft, So now you know how to defeat them and what they look like. Which one will you hunt? Dude, pictures by Baby Girl.